I do want to give credit where credit is due. Over the past decade the Catholic Church, both its official and unofficial arms have worked hard at making the complex much more simple, accessible and understandable. With 2000 years of uninterrupted history, this has not always been an easy task. However, we can see its growing accessibility in the development of Catholic television, radio, satellite radio, new / social media, resources, lay discipleship programs and even university certificate programs. The options are getting to be endless. With this type of volume and variety, accessible at the parish level, no Catholic has an excuse for disengagement. 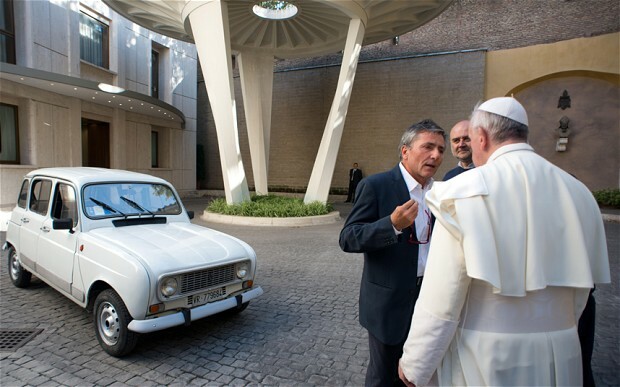 The Practical Pope Francis and his vehicle. Beyond the deep, mystical spirituality of John Paul II and the complex theological mind of Pope Emeritus Benedict XVI, we now have access to our most practical Pope of the modern era. Pope Francis is truly a pope for all people in both his explanation of and the way he lives out the faith. His humility and accessibility have been on display since the very beginning of his pontificate when he bowed and asked the world’s faithful to pray for him. Hence, for the uncatechized or under catechized, Pope Francis is one we can follow with a new kind of ease. When I think of Pope Francis I am transported to the days of the Apostle Paul when he said, “Be ye followers of me, as I also am of Christ.” (1 Cor. 11:1). What Catholics can be assured of is this, if WE actually follow in the footsteps of Pope Francis we will be following after Christ. If only we are willing to humble ourselves, listen with an open heart and actually do what Pope Francis does! Will the faithful and spiritual explorers actually follow in the footsteps of Pope Francis and end decades of stereotyping and maligning the doctrines, magisterial teachings and traditions of the Catholic faith? For decades now, many have used good excuses as rationale for gravitating away from the Church. Others have developed an incomplete rhythm of participating in Mass but rejecting all other forms of discipleship programs offered. Therefore I am arguing that if you like Pope Francis and believe he is what the world has been looking for then we ought to follow after his example. Are You Ready? Practical steps you can take. 1. Prayer – developing the interior life. Pope Francis has talked often about the need to encounter Christ. Prayer is the pathway to intimate relationship with Christ and interior, spiritual development. One could say that prayer, (intentional, conversational, and regular) is the foundation on which the rest of our “spiritual lives” grow! 2. Be open to the wisdom of the Church. For so long many have become experts in their criticism of the Church (sometimes for good reason). I believe we are living in a time now where we can trust the deep wisdom that has always resided in the Church, her teachings, the traditions and doctrines that have developed over the past 2000 years. I believe the quality of the modern papacy including Pope Francis has brought both trust and good will. Step out and dare to believe. 3. Be sure to attend local parish events beyond Mass on Sunday’s. In 1999, the U.S. Conference of Catholic Bishops stated that adult faith formation is a lifelong process. Many parishes now offer a serious complement of classes, activities and events that are designed to assist adults to grow in their faith. 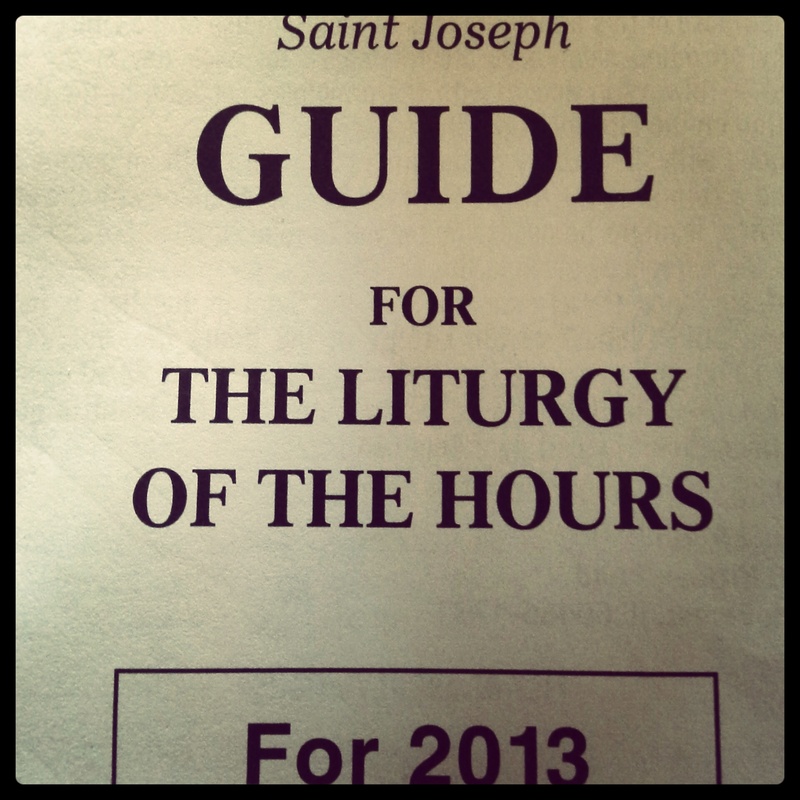 If your parish does not have classes then find one that does. 4. Allow the lifestyle and statements of Pope Francis regarding (but not limited to) materialism, consumerism, free-market economies, the development of democratic institutions and the rise of secularism effect you. One cannot expect to become like Pope Francis, Blessed Teresa of Calcutta or the serious complement of saints that has preceded us unless we are willing to humble ourselves, embrace change and believe deep within our hearts that we are living for more than just an earthly existence. We should be living with eternity in mind (Mt. 25: 31-46). 5. James 1:20, “Faith without works is dead.” A principle I have always deduced from the passage in particular and from the book of James in general is that our Catholic faith is a whole life proposition. Hence, one who is following faithfully will develop a process by which the ideas and concepts found within Sacred Scripture will be the lens through which decisions are made. The combining of our faith and actions. Knowing that, no matter what you do, you do it for the glorification of God and in development of personal holiness.